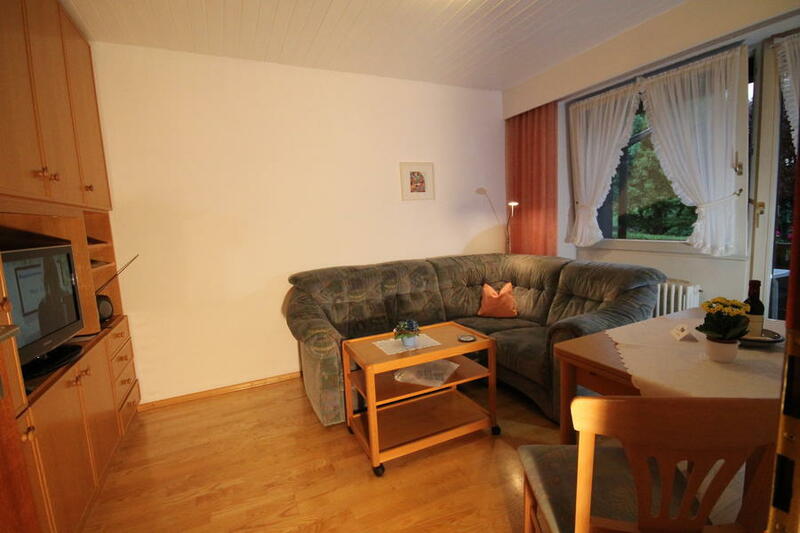 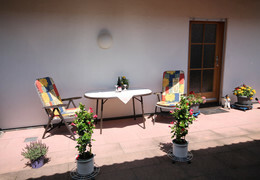 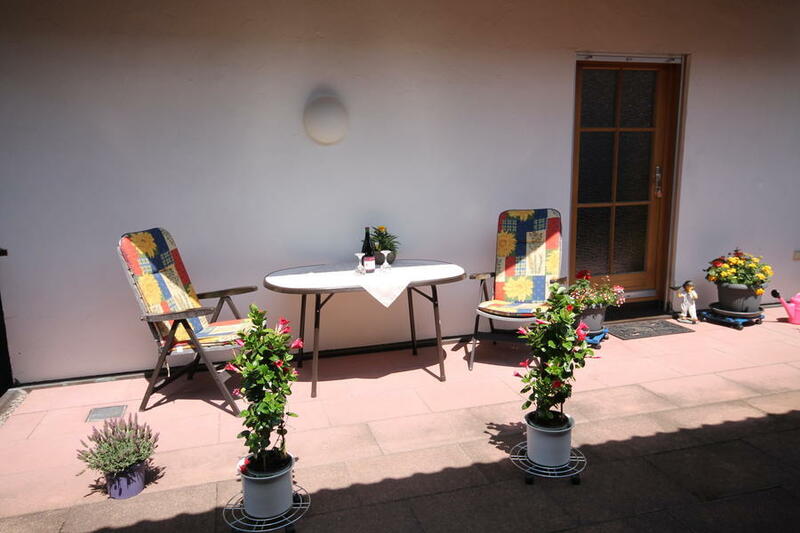 Cosy non-smoking apartment with 33 sqm living space and balcony for 2 persons. 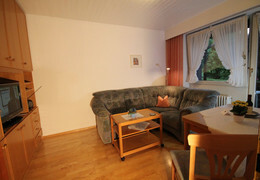 Living/dining room with a matched set of couch and armchairs, table and chairs, cable TV, radio and cassette player. 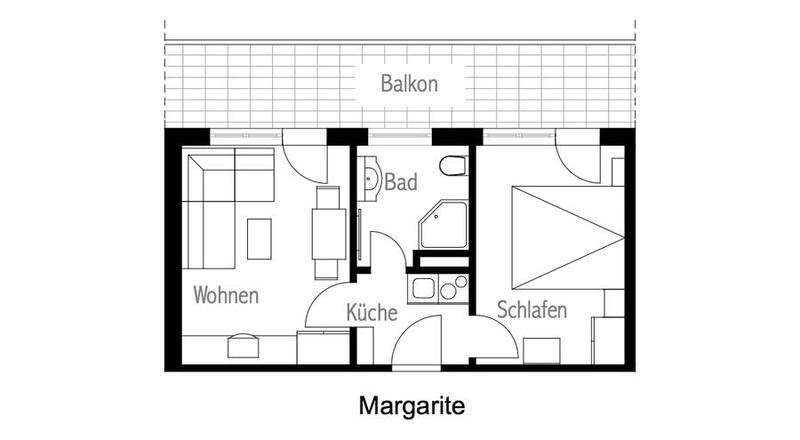 Separate, completely equipped kitchenette. 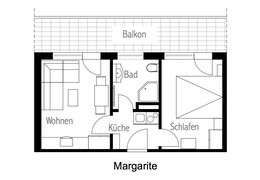 Double bedroom with wardrobe (incl. 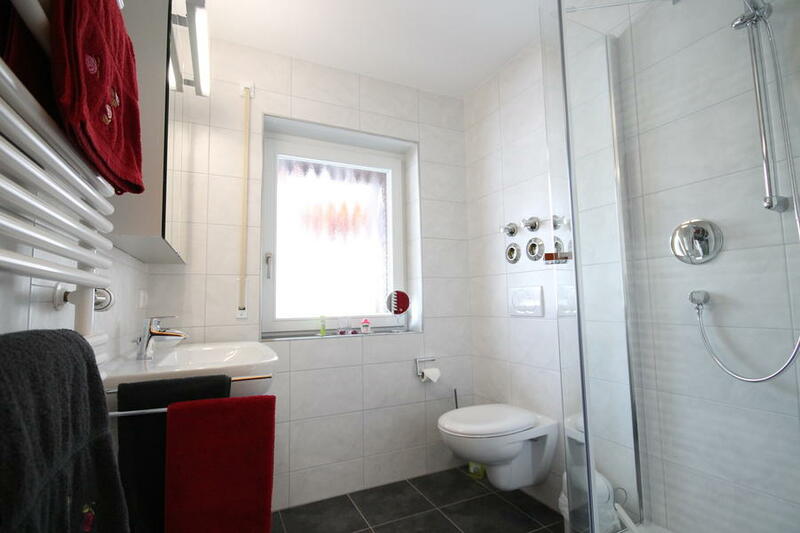 hangers), radio and telephone. 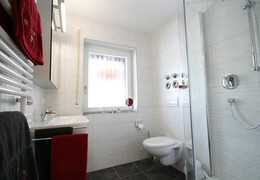 Bathroom with shower, WC, washbasin and mirror cabinet.